If three’s a crowd, then what is polygamy? 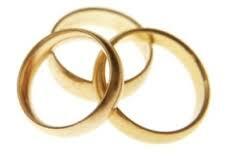 Is polygamy cursed by the thing that blesses monogamy? Is two really more than seven? If love is the answer, shouldn’t monogamy be in question? How can we claim to love the father to our siblings but can’t find enough love for the spouse of our spouses? Is the other woman an enemy, or a friend and a sister deep within? If love is the healer, then why are we about it bitter? They say sharing is caring and that there is love in sharing. This must mean that love is sharing, and caring is love. And if we love the reason for our polygamy, should we not love the participants of this polygamy? I guess love is what it is, and will in its own time flower. I just hope that it does so in this polygamy of ours.